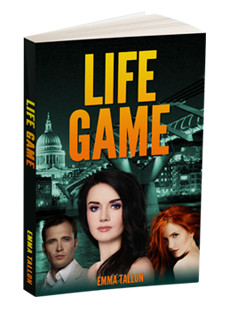 Read the gripping first chapter of Life Game completely free, right now! Vindaloo Girl – Emma Tallon’s new Bollywood thriller! Bangkok Girl – Emma Tallon’s new noodle thriller! Chippy Girl – Emma Tallon’s new fish-based thriller! The first book in the London Underworld series has now been launched on Amazon! A gritty, British crime thriller with a romantic twist, it’s available on Kindle and in paperback.